You can be the most talented musician of all time, but if your instrument isn't tuned -- no matter how well you play the chords -- the music will sound like noise. This is the same as it is with your human instrument, you can have the greatest intentions in any moment, but if you're instrument isn't tuned; if you're not tuned into the moment, your contributions, to the moment, will appear like just so much noise. The 'music of the spheres' is always playing in the background of all the noise on Earth. 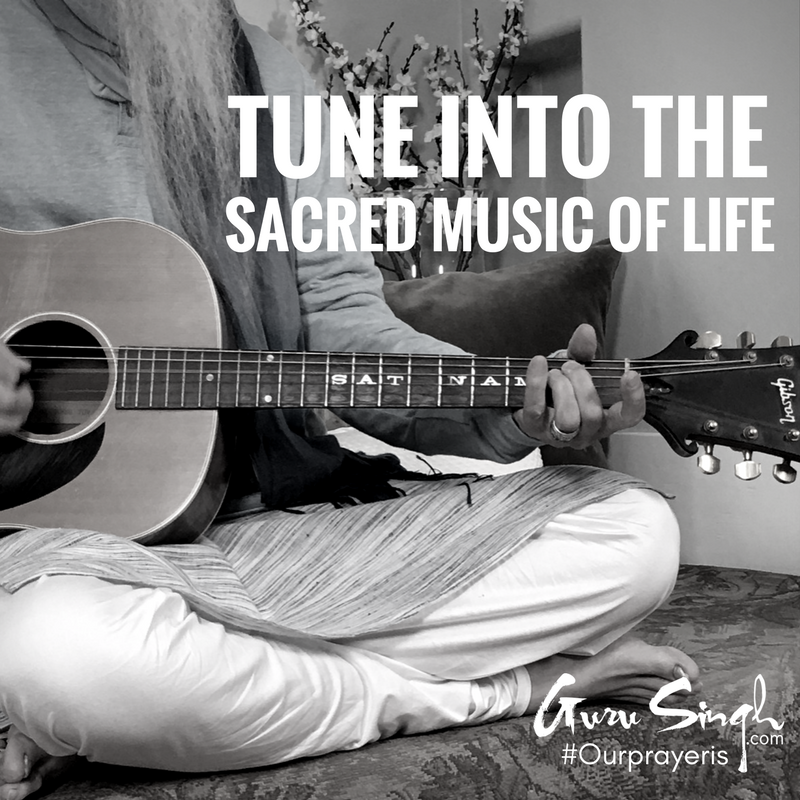 The great masters call it 'Naad Brahm' -- 'Shabd Guru' -- 'the sacred music of life'. They devote their lives to it, to tuning their body, mind and spirit up with it. It's the glue that holds life inside of time, essentially the connection between Heaven and Earth; between your body and soul. Mantra parallels this sound; that's the power of mantra . . . the duplication of this vibrational glue on a very physical, and extremely practical level. Mantra is not philosophy, it is science. When you sing these sounds, you're increasing the bonding strength of this connection . . . the connection between your personal instrument and the universe. For this reason, a large part of Kundalini yoga is mantra, tuning up the mind -- and the rest -- the postures, breathing and kriyas -- they tune up the physical instrument -- the body with the mind. Mind is called 'man' (of mantra) in Sanskrit . . . and 'man' also means 'now'. Woman or 'womb-man' is 'now' plus the 'womb' -- which means 'future'. The woman is the instrument of the 'future' within the 'now'. The man is completely tuned into the 'now' . . . that is . . . whenever he has tuned his instrument . . . when he's in tune. Our prayer is that you tune your instrument before you go out to play with each day; enjoy the music that's playing around you, and compose your own on the spot -- to suit the spot. Play so freely that the noise of life fades into the background, and enable everyone you meet to dance into their brilliant future . . . be a Pied Piper.